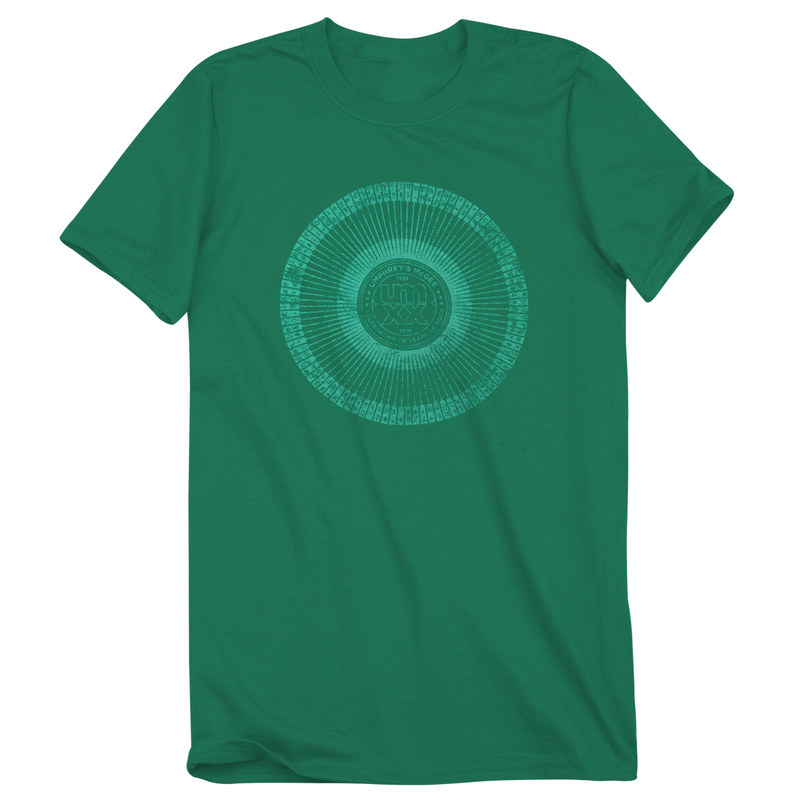 This vibrant kelly green super-soft tee commemorates the 2018 release of it's not us, featuring the radial typewriter art from the CD face. 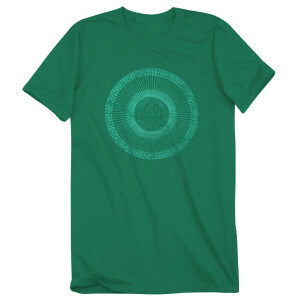 Look closely at the distressed print and you'll find the track list from the album, with the band's official 20 Year Anniversary Seal in the center. 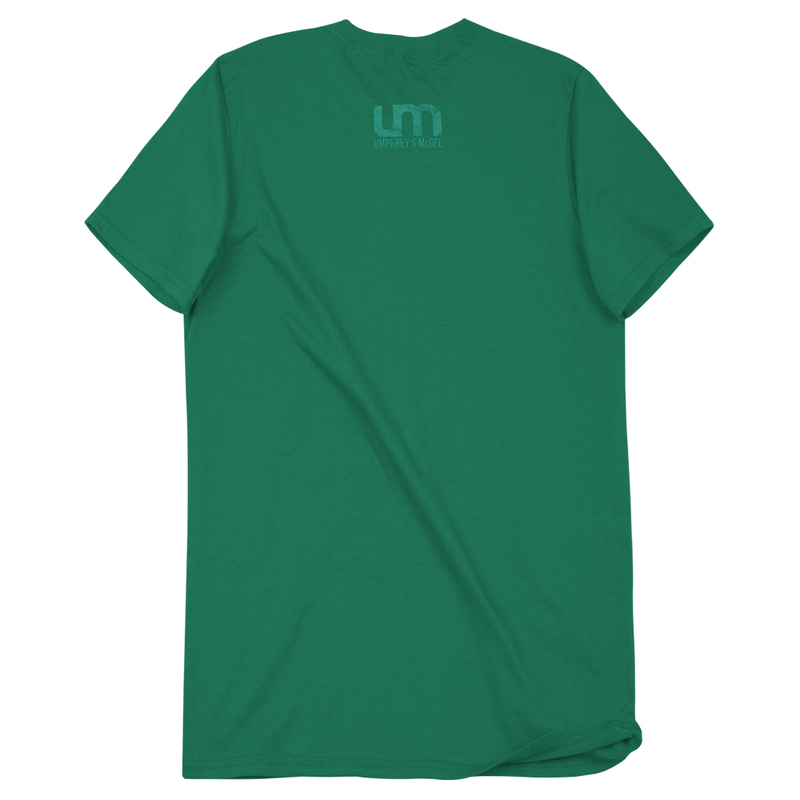 A wardrobe staple for any UM fan. The back of the tee includes the old school UM logo beneath the neck so you can represent whether you're coming or going.